iOS 12.2 introduces four new Animoji characters. Those enrolled into the developer beta program can acquire the latest builds via the Apple Developer Center, or for devices already enrolled into the scheme, as an over-the-air update. Participants in the Apple Beta Software Program can usually expect the public beta counterparts within a day or two of the developer variants. The fourth beta of macOS 10.14.4, build 18E205e, is up from the third build number of 18E194d. The fourth iOS 12.2 beta, 16E5212f, replaces the third beta build, 16E5210e. The fourth watchOS 5.2 beta, number 16T5212e, increments from the third beta 16T5201c. Lastly, the fourth build of tvOS 12.2, 16L5212e, takes over from 16L5201d, the third build. So far, the macOS betas have introduced changes including Apple News in Canada and support for Safari AutoFill on Macs with Touch ID. Most of the observable changes have been on iOS. 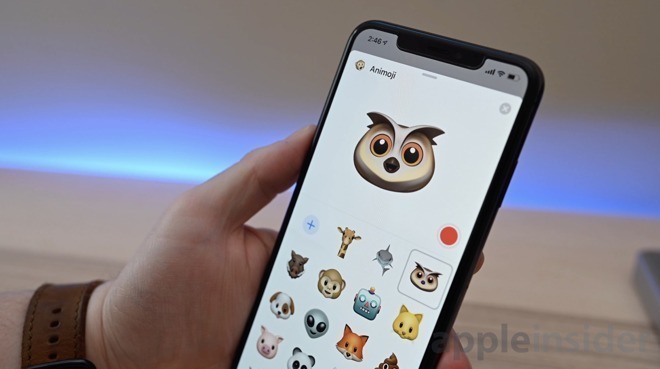 In the first and second iOS betas, Apple introduced four new Animoji characters, changes to Control Center and the lock screen, a redesigned Apple TV remote, alterations to the Wallet App, and TV support in HomeKit. The third beta saw more changes to the remote widget in Control Center, more UI tweaks to News and the Wallet, and for beta users, Group FaceTime was re-enabled following a public patch release. AppleInsider, and Apple itself, strongly suggest users avoid installing betas on to "mission-critical" or primary devices, due to the small possibility for data loss or other problems. It is instead recommended to install betas onto secondary or non-essential devices, and to ensure there are backups of important data available in the event things go awry. 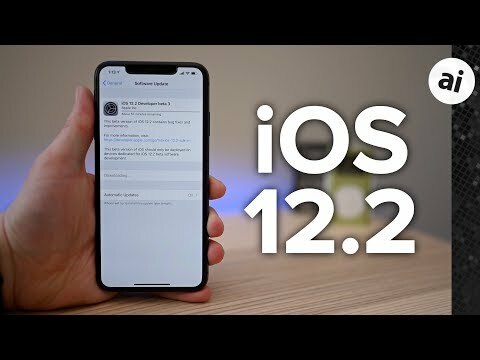 Update: Public beta versions of iOS 12.2, macOS 10.14.4 and tvOS 12.2 are now available. Not impressing me Apple. New Animoji characters that nobody cares about? Changes to the control center for Apple TV remote? Seriously Apple? Not liking the direction of Apple. Why would Apple want to impress someone like you anyway? And if you don’t like Apple’s “direction” you can move over to Android/Windows and post your drivel on their tech blogs instead of here. Historically, I don't expect much in the way of changes between minor updates. These are more like Windows service packs. Still, I'm not overly impressed by recent updates from Microsoft, Google or Apple. Not much improvement from any of them. I left the Windows camp after several OS updates that seemed to just reshuffle the same old functionality and make it more difficult to find what you wanted, or do what was necessary. In my opinion, Windows 2000 was the high point, and Microsoft has been going down-hill in ease of use since Win2k. Maybe it's time to consider Linux. if your only reading the post from AppleInsider then clearly you don't know what Apple is doing with these updates and therefore your opinion is moot. Well, since YOU know exactly which posts, articles and news feeds that I follow them clearly I don’t know what Apple is doing. I follow other articles and tech blogs thank you very much. We all know what assume means and evidently you did exactly that. My opinion is just as valid as everyone else’s since we do live in The United States of America and everyone here is entitled to his or her opinion.